MANUFACTURERS of plastic bottles should be made to pay for their disposal, a green group says. Green Earth (綠惜地球) said 5.2 million plastic bottles are dumped in the SAR every day. It said since 2008, Hongkongers have disposed of more than 12 billion bottles, which if placed end to end, could circle the globe 58 times. It called on the Environmental Protection Department (環境保護署) to step up legislating on a producer responsibility scheme for plastic bottles. 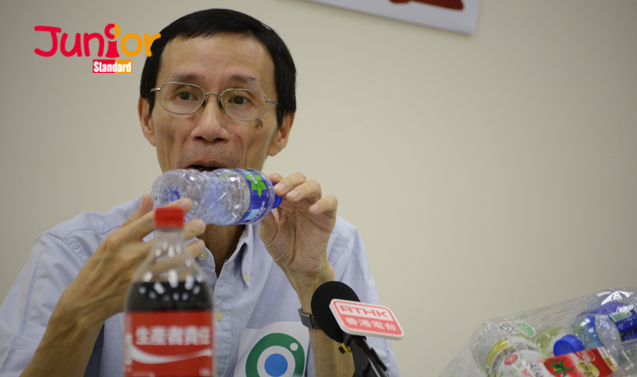 “If legislation work is delayed for another year, the dumped plastic bottles will be able to make another eight circles around the Earth,” executive director Edwin Lau Che-feng (總幹事劉祉鋒) said. Green Earth estimates the handling cost of disposing the plastic bottles at HK$146 million from 2008 to the present. Lau said the cost should be borne by the beverage producers instead of being taken from government revenue. He added that plastic bottles take up a large space in landfills. He urged the government to carry out preparatory work to put the responsibility on producers, such as a business impact assessment. This would facilitate legislation for the government to introduce in the next term. It will also send a message of corporate responsibility to leading beverage producers such as Coca-Cola and Watsons. He said the government planned to produce such legislation in 2008 but did not carry it out.